Seaweed is more than just a wrap for sushi. As a Westerner, you likely eat seaweed on just two occasions: when you’re out for sushi (and then only because rolls come wrapped in the stuff), and when there’s a gun to your head. So, OK, just one occasion. But, news flash: Seaweed’s blowing up—and you should get in on the action. 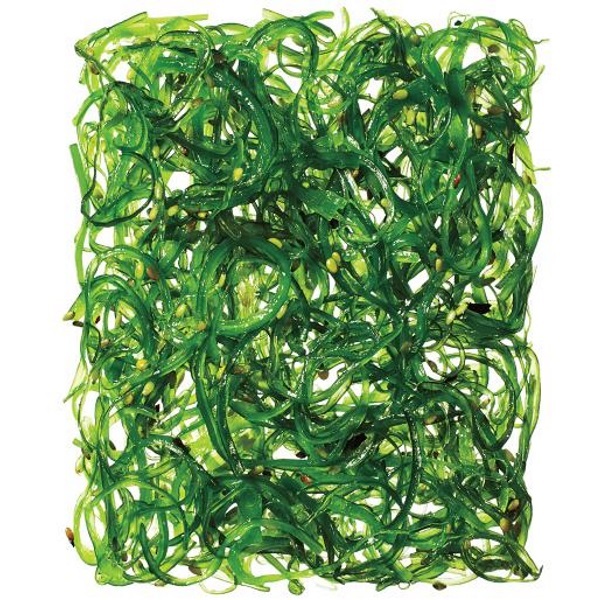 The aquatic veggie, whose U.S. snack sales jumped 30% last year, is supernutritious—full of vitamin C and iodine (good for the thyroid gland) and loaded with calcium, iron, copper, potassium, selenium, and zinc. And, bonus: Unlike some foods (factory-farmed beef, some shrimp), it can be sustainably and ethically produced. For starters, pick up a seaweed salad at a sushi joint or grocery. (Trust us, it’s terrific—just watch your teeth; it likes to get stuck.) Or buy snacks made out of savory, salty nori sheets (aka sushi-roll wrappers) or bacon-y dulse flakes you can sprinkle on salads, add to sandwiches, or even lightly pan-fry. Check the ingredients and opt for snacks with just seaweed, oil, and salt, and watch that last one—seaweed’s naturally high in sodium, so try to stay within the RDA of 2,300mg a day.